Kayla and Brian posed for Audrey at their Old Sheldon Church ruins session and they came away with some incredible images to share with their family and friends. But the session wasn’t over then and there! “After that we stopped off at the driveway of an old plantation, then ended up at the big red barn in Bluffton, South Carolina. There we did more of a holiday shoot, with save the date pictures and images with their precious pups,” says photographer Audrey. 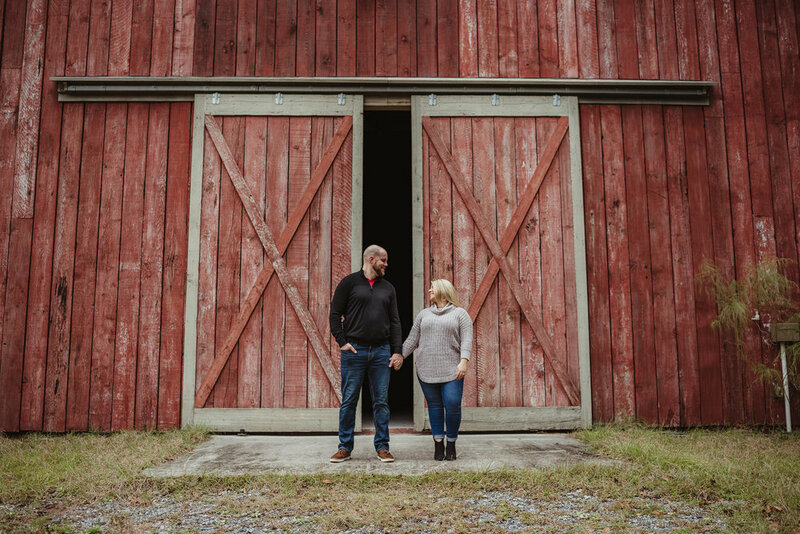 From the romantic ruins of Yemassee to the rustic barn wedding feel at their second location, Kayla and Brian’s engagement session celebrates everything we love about the Lowcountry!